Well some in the media are out in force with a full throated defense of the Gov. John Bel Edwards after a week that will probably go down in history as the most impactful of his brief career. Their basic theme is that the governor should not be blamed for sending 37,000 letters to nursing home residents, threatening them with a loss of their place of shelter in their most fragile years. After all, the line goes on, it is the legislature’s fault for not raising taxes. But in the media’s rush to defend the governor they have overlooked three incredibly subtle but momentous subplots; subplots that make everything else pale in comparison. No, it wasn’t the actual action of sending cruel “eviction” letters to the elderly and the handicapped that will be the history of this time. The first of the genuinely significant essentials in the news this week was the invitation by the governor to two of the most liberal media outlets, CNN and CBS, to come and, I suppose, witness his “bold” actions. The second significant event was the depth of opposition in the legislature, especially in the Senate, to his policies and practices. Finally, evolving from it all, will be the potential of long term damage to his reputation and his future that these events have brought on. We must ask ourselves why would a governor of Louisiana, even as he undertook such a misguided effort, invite the national media to observe his actions? The answer possibly can be found in the general weakness of potential Democratic candidates for national office. It is well known that the national Democrat leadership is aging and that the Party is rushing headlong to adopt a form of American socialism. Both of these characteristics bode badly for an out of power Party in the time of Trump. In the past several months a number of news outlets have hinted that a young, southern governor could be the answer to the future of the Democrat Party. I have no idea why the governor felt compelled to invite the liberal media to come to Louisiana, but could a greater ambition be the cause? I cannot think of any other reasons. Fortunately for our people the governor’s ploy seems to have fallen flat. CNN and CBS did give him miniscule coverage but even they must have realized that threatening the old, the sick, and the handicapped is not a sign of the kind of intelligent leadership that could possibly save the Democrat Party from irrelevance. The second of the understated reactions to Edwards’ strategy was that for the first time in modern memory the Senate seems to have rejected the leadership of a governor. The Senate Finance Committee first rejected the governor’s call to end the regular session without a budget and then it passed a budget that generally funds all healthcare priorities. This latter part was a clear message that the Senate felt that Edwards was wrong to send out threatening letters to fragile citizens and that the Senate has never had any intention of allowing nursing home funding to end. The members of the committee made it abundantly clear that as in every other year this budget process, though not complete, was the second of several steps toward creation of a budget that funds priorities but doesn’t unfairly burden taxpayers. The last and perhaps most significant outcome of the governor’s actions, though widely ignored by so many in the media, was that perhaps these events mark the high-water mark in the governor’s tenure as the leader of our state. In a political reality the governor has committed a great political sin. No leader can possibly expect to threaten all those fragile people and it not be a permanent stain on his legacy. There is nothing that can be said or done, either by the governor or his media allies, that will erase the image of those 37,000 innocents as they receive a letter from an Administration warning them that within a short time they will be on the streets. It doesn’t matter who is blamed in the letter, it came from the Administration and that’s all anyone cares about! And who is the Administration? Why, John Bel Edwards of course! So there you have it. 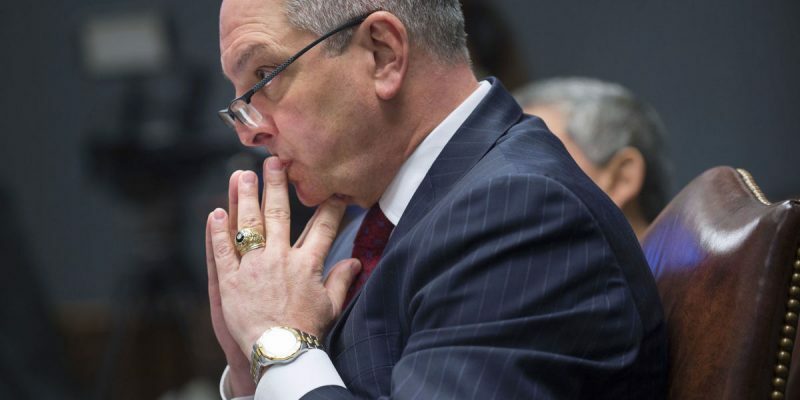 One of the most astounding weeks in Louisiana political history and not one major media outlet undertook to examine the significance of the governor’s actions to his and our political future. What a lost opportunity for them. There has been much written about the governor’s improbable win in the 2015 election, but one would have to wonder if there will be anything written in depth about the impact of these events.